At GIA, we’re here to assist you before and after your loss. Everyone hopes they never have to turn in a claim on their insurance policy. But unfortunately, losses do occur. Your policy requires that you report claims promptly. To help serve you better, some of our companies have 24-hour direct claims reporting phone numbers. 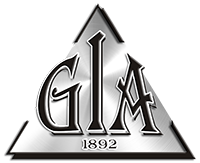 For clients reporting claims please contact GIA directly during normal business hours. However, if you are filing a claim outside of our normal business hours there is information for some of the companies we represent below. If you do not find your insurance company listed, please contact our office and leave us a message with the details of your claim. Thank you for your business! Should you decide to report your claim directly, please let us know.